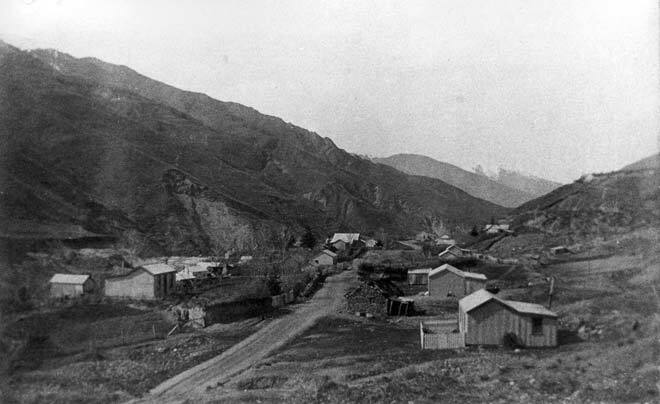 Macetown was a small mining settlement in the hills near Arrowtown, where alluvial gold and gold from quartz reefs was mined. This view looks back towards the road that leads through the long, narrow, precipitous gorge of the Arrow River. Once the gold reefs and river gravels were worked out there was no other reason to live there, and all these houses are now gone.